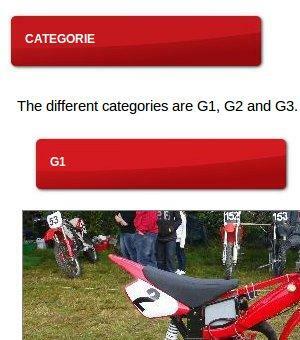 As diferentes categorias são G1, G2 e G3. If gas tank is metallic, it must be kept and used, max 19mm carburettor. The frame can be reinforced. Suspensions and covering are free. 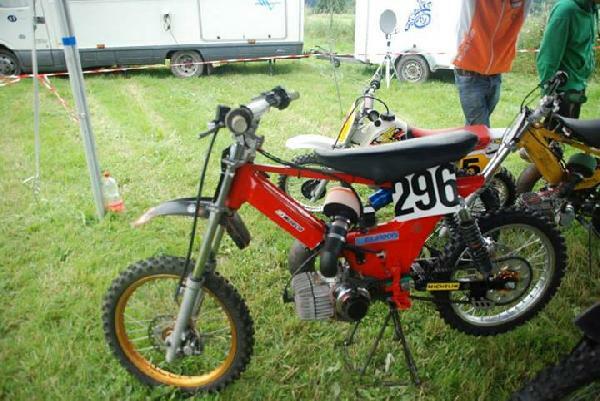 50cc max, drum brakes, twin-shocks suspensions like original. Fantic Caballero, Kreidler, etc. - Homologated moped with gear box (Derbi Senda, HM CRE, etc), engine model corresponding to the frame, 50cc top-end free, 19mm max carburettor. 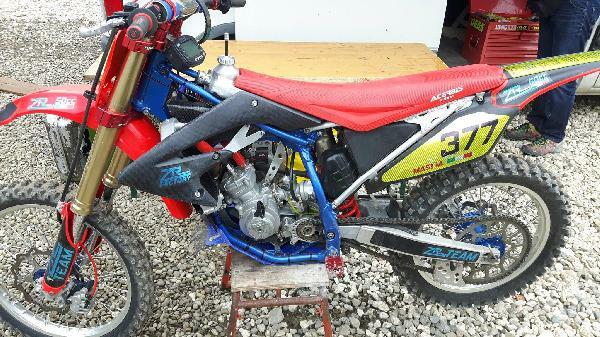 Frame, steering tube, fork, swingarm kept original but can be reinforced. The frame can be reinforced. Suspensions and covering are free. 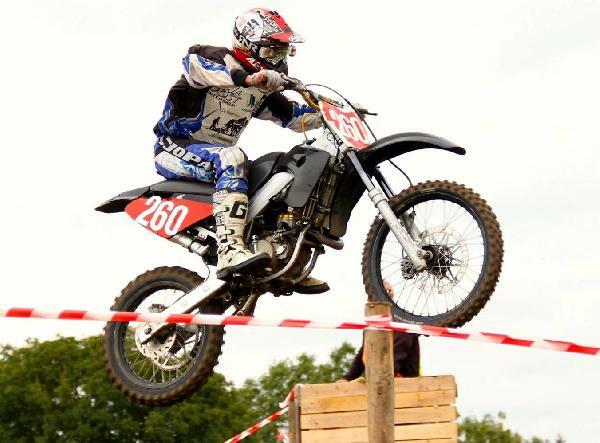 50cc max.